HARARE, Dec. 30 (Xinhua) -- Zimbabwean President Emmerson Mnangagwa has gazetted retirement benefits for the former head of state and government. Former President Robert Mugabe, who was ousted through a military intervention last month, will be the first beneficiary. Among others, Mugabe is entitled to a fully-furnished official residence at any place in Harare and to a housing allowance to be determined by the sitting President or a single private residence acquired or constructed on his or her behalf at any place of his or her choice in Zimbabwe or payment of a lump sum equal to the value of the private residence. With respect to the private residence, the property shall be constructed on land which in total may not exceed 5,000 square meters. The residence, if it was to be built, should not exceed a reasonably sized house with five bedrooms, a guest wing with three bedrooms, a study, swimming pool, two guard rooms and two garages. "There shall be employed in connection with the residence of the former President (i) three domestic employees and (ii) two gardeners, and (iii) two cooks and two waiters and (iv) two laundry persons," read part of the gazette notice. Mugabe, his spouse and any dependent child will also receive an allowance for their medical aid contributions. 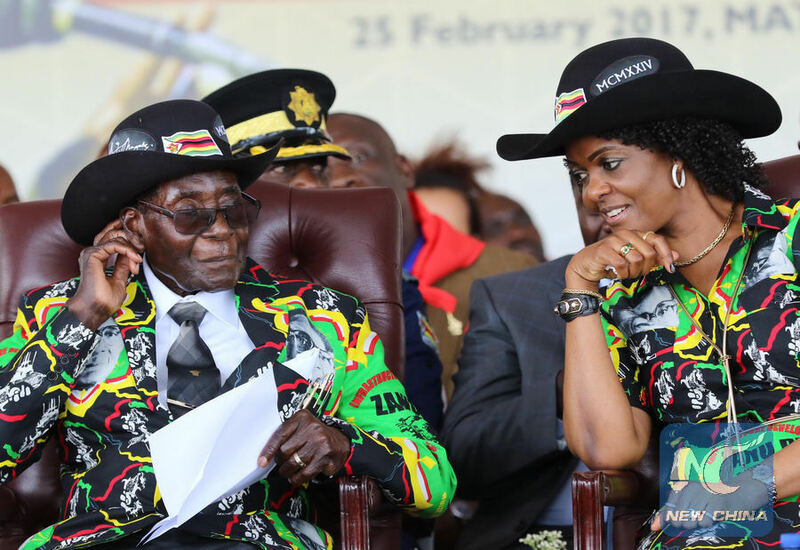 The former president and his spouse will be entitled to a diplomatic passport, first class air and rail private travel within the country up to a maximum of four trips per year. He is also entitled to international air private travel up to a maximum of four trips per year including the spouse if he or she accompanies the former president. Mugabe resigned last month following pressure from the military and the public. He has not been seen in public in Zimbabwe since his resignation.